St Joseph Council #3814 of the Knights of Columbus was founded in 1954. Our council hosts many activities throughout the year for the church, youth, family and our community. St. Joseph Council supports St. Joseph Parish in Oradell and Ascension Church in New Milford Our Council is located on 199 River Road, next to the Ambulance Corps, in New Milford, NJ. St. Joseph Council No. 3814 of Oradell/New Milford is sponsoring a 50/50 Cash Raffle to raise $2,000 for our 8th Grade Scholarship Program. Each ticket is $20. 1st Prize is 50% of gross proceeds. The drawing will be held Wednesday, June 13, 2018 at 9PM at the Council Hall. Winner need not be present to win. Contact Jeff Walters at (201) 925-7174, or leave a message on the Council phone at (201) 262‑9722. St. Joseph Council No. 3814 will award $1,000 Scholarships to two current 8th graders planning to attend a Catholic High School in the fall of 2018. Eligible scholarship applicants must be registered with St. Joseph Parish in Oradell, NJ or Ascension Parish in New Milford, NJ. Selection will be based on criteria focusing on service to the church, school, and community, and an essay on the value of the Knights of Columbus principles of Charity, Unity, Fraternity and Patriotism. Completed applications must be returned to St. Joseph Council and postmarked no later than Thursday, May 31, 2018. Winners will be notified in June to attend the award ceremony on June 22nd. Applications can be downloaded from our website at www.kofcstjoseph.org. For additional information contact Jeff Walters at 201-925-7174. 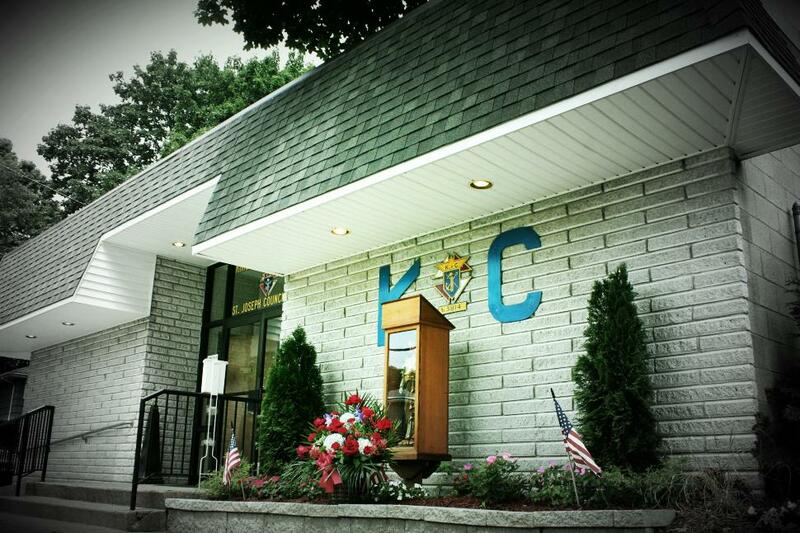 Council-based membership is the best way to experience the Knights of Columbus. Prospective members who sign up online can join local councils just as they always have. Click HERE to go to the NJ KofC site to get more information about the KofC, membership benefits, and to sign up today.